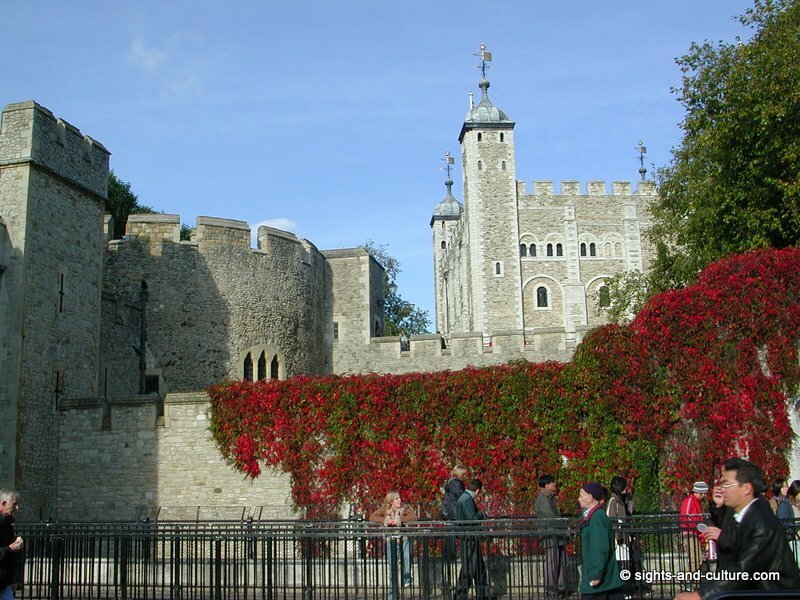 In the course of its long history the Tower of London was a residence for the kings and queens of England as well as being a fortress. 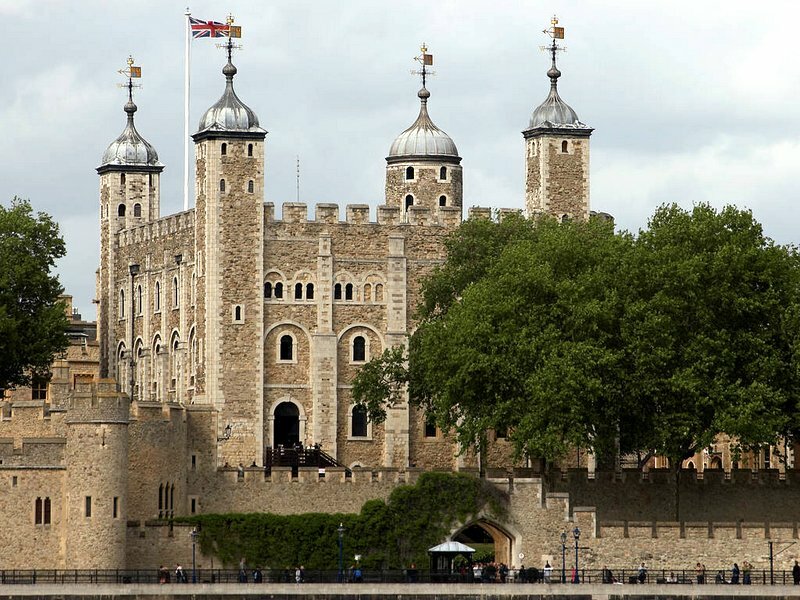 The Tower of London was begun in 1078 by William the Conqueror, who erected it as a huge stone stronghold for his defence and as prison for his enemies. 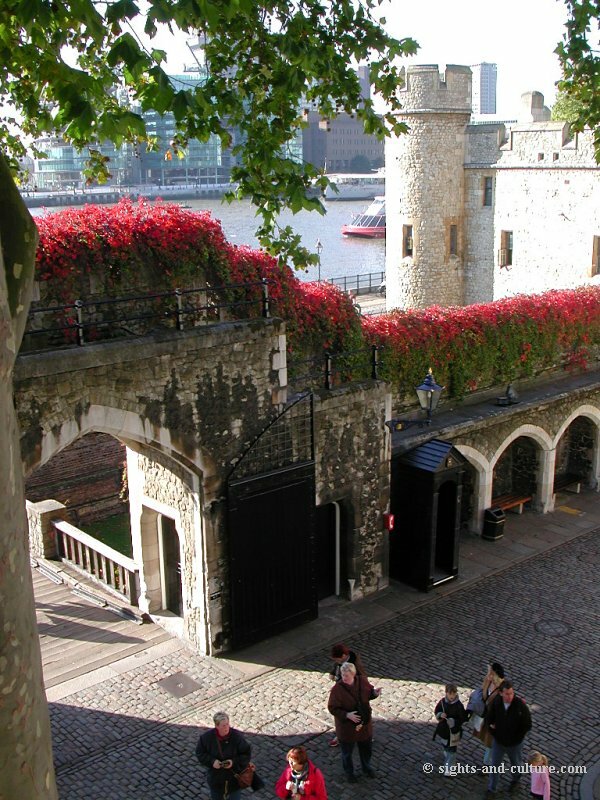 The first building on this place was the "White Tower". 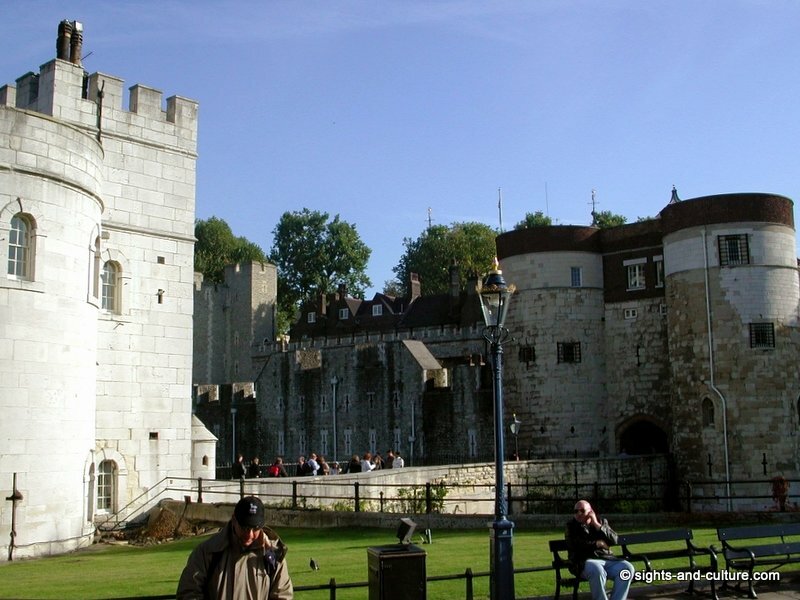 Around the year 1240, King Henry III turned it into a marvellous palace, widened the grounds of the Tower to include a church and several other buildings and made the Tower his residence. 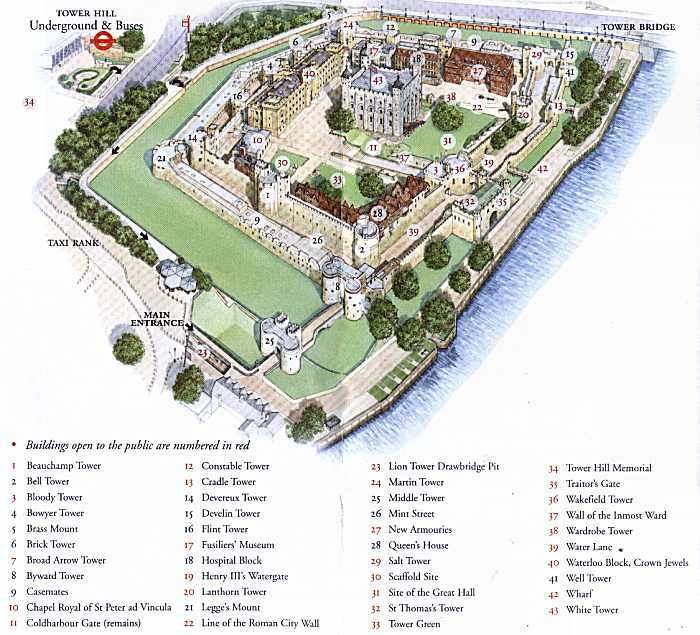 The tower of London but still continued to be a stronghold and a prison, surrounded by a series of massive defensive walls. 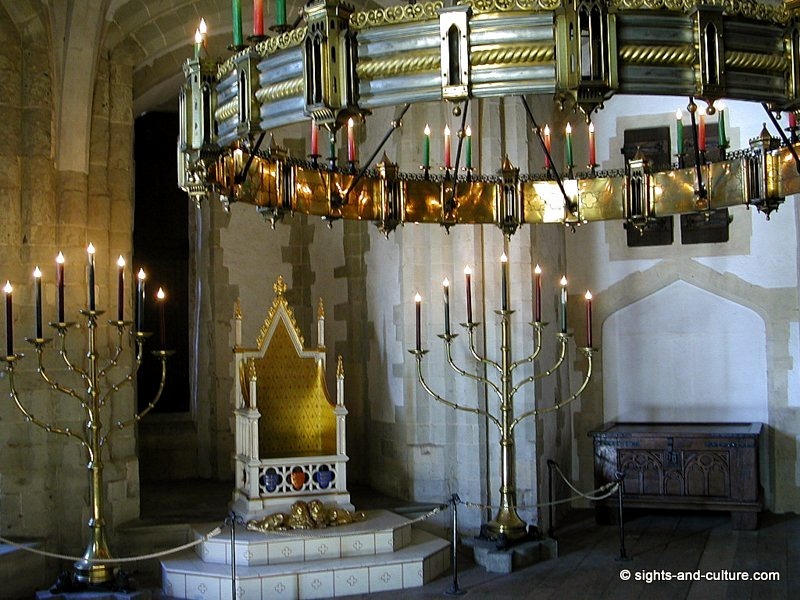 Several monarchs and famous people were killed in the Tower of London, among them the thirteen year old King Edward V and his younger brother. 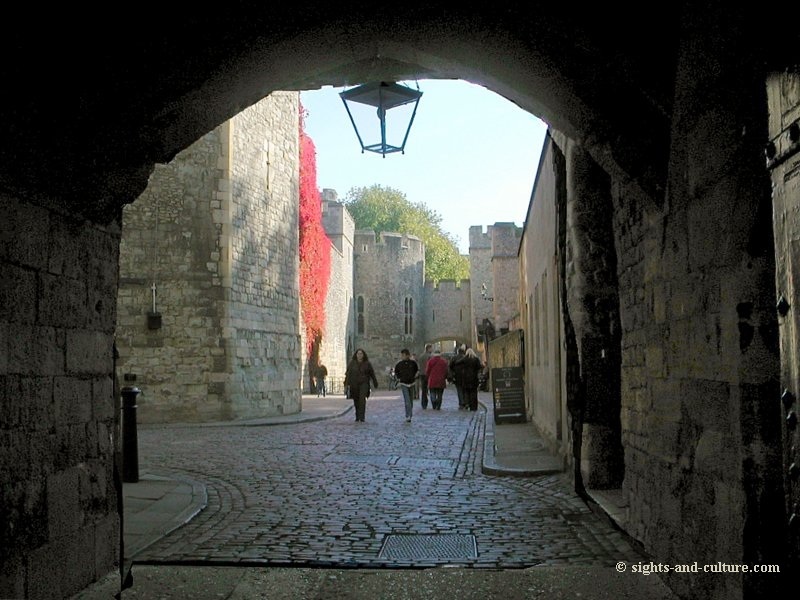 On the scaffold site two of Henry VIII's wives, Anna Boleyn and Catherin Howard, were beheaded. For some reason in the 15th cent. 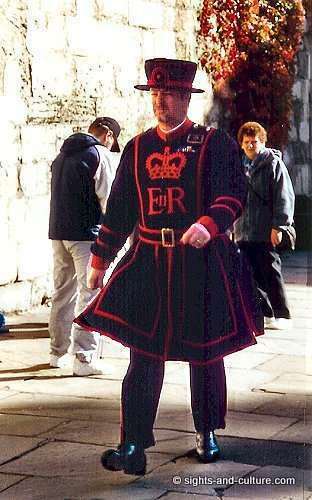 King Henry VII eventually formed a personal bodyguard, called the Yeoman Warders, who combine today their traditional role with that of a tourist guide. Since the beginning of the 14th cent. 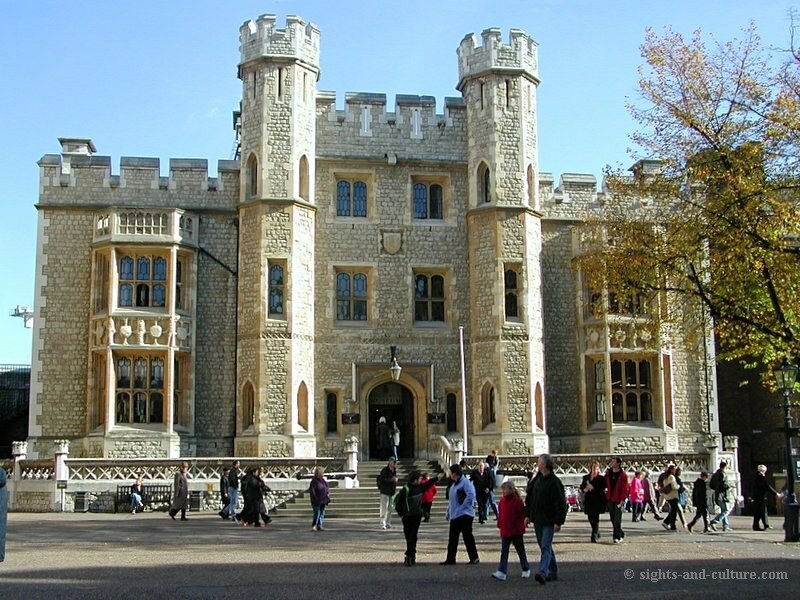 the Tower of London has been the home of the world famous British Crown Jewels - they are a must of your visit!